Your details. I will only contact you to respond to enquiries, acknowledge orders and to let you know when you can expect your fabric to arrive. We don’t like receiving spam, and we will never send any. None of your information will ever be passed to a third party. Your name and address are used only in shipping of your fabric. Copyright. All designs, text, images, and website design are the intellectual property of The Sewing Room. If you’d like to use an image on your website or blog, please contact us at first, or provide a link back to us. Ordering. We endeavour to be as accurate as possible in our descriptions of the fabric, including mentioning faults and describing colours. Please read this description carefully and tick the appropriate box to say you have done so on the checkout page. Your fabric will be dispatched to you as soon as possible after the date of order and only after full payment has been received. Delivery/Post & Packing. We can only deliver within the UK. Orders will be sent by Royal Mail UK standard 1st class postage at a flat rate of £7.00 for orders up to the value of £50, for orders over the value of £100, a flat rate of £14 and orders over a value of £100 a flat rate of £22. Your order will be packed in tissue and a Toughsac waterproof envelope. Orders may be sent in split deliveries and I will notify you if this is the case. Returns and Refunds. If, despite our detailed descriptions and images, you are unhappy with the fabric, you may return it provided it has not been cut, used or damaged in any way. 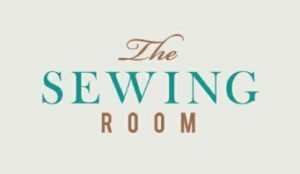 Please contact us at The Sewing Room if you experience any problems with your fabric.